Have a look at the per day details for this 4 days/ 3 nights package. Rate difference for this package is because of accommodation, as here we will offer 3 star or Heritage hotel accommodation. Rest inclusions will be the same. Rate difference for this package is because of accommodation, as here we will offer Luxurious Heritage hotel & resorts. Rest inclusions will be the same. 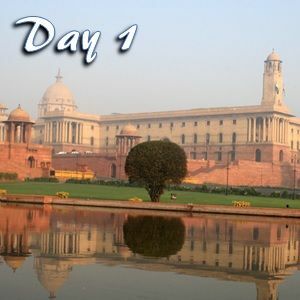 On Day 1 – Pick up from Delhi and drop at the booked hotel in an AC Cab. Today we will enjoy a half-day tour of New Delhi, which includes a trip to Raj Ghat, Shantivan, Red Fort, Jama Masjid, India Gate and Indian Parliament. By night, the driver will drop you at the hotel. 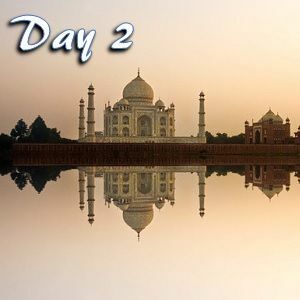 On Day 2: Drive towards Agra and will visit Mathura Vrindavan on the route. Will reach Agra by lunch time and later will explore Taj Mahal, Agra Red Fort, beautiful gardens and some more sights of the city. On Day 3: Will leave Agra for Jaipur and on the way will stop to visit Fatehpur Sikri. By lunch time, we will reach Jaipur and in the 2nd half of the day we will visit Amber Fort, Jal Mahal & Pink city markets and sights (City Palace, Hawa Mahal & Jantar Mantar). 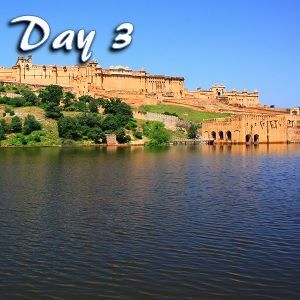 Day 4: We will enjoy a 1st half tour of Jaipur for which we can visit some options for you. Later in the 2nd half, our driver will drop you at any suggested point in Jaipur or Delhi and with this our 4 days trip will be finished.